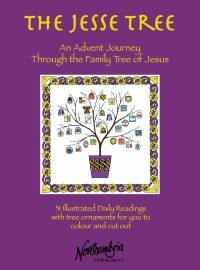 NEW LOWER PRICE Create Your own Jesse Tree at home this Advent with this delightful and richly rewarding resource for individuals, families and churches. Originally published in Celtic Daily Readings (now out of print), this month of readings is presented as an A5 booklet beautifully illustrated with newly commissioned drawings by Francesca Ross, and accompanied by a set of 31 double-sided card ornaments, featuring Francesca’s illustrations, for you to colour, cut out and use at home on your own Jesse Tree. The Jesse Tree readings are named after the depictions in stained glass or wood that have been used over many centuries to bring to life the characters who are part of Jesus’ family tree from Jesse through David to Joseph and Mary. In many homes and churches it has become an Advent custom to use a small tree branch as a Jesse Tree and hang it with pictures or ornaments representing the people, prophecies and stories which anticipated the coming of Christ. Some churches have a special Jesse Tree service, during which the whole series of stories is recalled, and the ornaments added, one by one. At home it is probably more beneficial to take one reading, with its accompanying Scriptures, per day, adding the ornaments as you go through the month so that, rather like the pictures in an Advent calendar, more and more appear as Christmas approaches. Some of the drawings and readings remind us of the people who make up Jesus’ family tree. Some instead are rich in prophetic significance, or mark the feasts of Stephen, the ‘holy innocents’ and John the beloved. They remind us of the covenant that Jesus, the promised Messiah, invites us all to enter into with Him. The Jesse Tree can become a much-loved focal point during December that can offset and pre-empt the onset of an increasingly commercial and secularised Christmas. 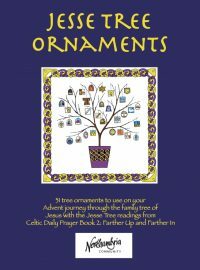 We hope these readings and ornaments will help you to share in this age-old practice and, by providing a focus for prayer and memory and a spur to the imagination, enrich your Advent as they take you on a journey through image and Scripture. The Jesse Tree has been used over many centuries to bring life to the characters who are part of Jesus' family Tree from Jesse through David to Joseph and Mary. This ornament pack contains three sheets of card printed with thirty-one double sided ornaments for you to colour, cut out and use to decorate your own Jesse Tree at home. Each ornament illustrates one of the Jesse Tree readings written by Andy Raine from the Northumbria Community. The readings themselves, one for each day in December, are available in Celtic Daily Prayer Book 2: Farther Up and Farther In published by Collins and available here Also available from the Northumbria Community is the Jesse Tree Pack which contains these card ornaments along with an A5 booklet of the readings - available here Your Jesse Tree can be made from anything you wish but many people use a branch which can be left in its natural state or stripped and painted gold, silver, white and then suspended from a ceiling or 'planted' in a pot. Instructions for preparing the ornaments are included in this pack. The lament swells every December, as perennial as the jingle of Salvation Army bells: the season of Advent is lost in the secular trappings of Christmas preparation. 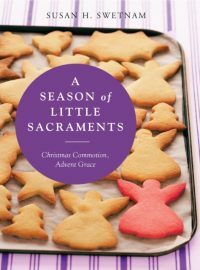 For those aspiring to a reverent Advent but caught up in the twenty-first-century to-do lists, A Season of Little Sacraments offers a fresh perspective on the secular-sacred December divide. 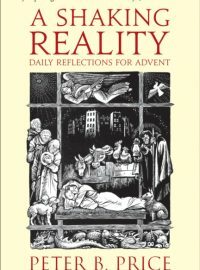 Susan Swetnam invites readers along an ordinary woman's day-by-day walk through Advent, demonstrating that the very 'distractions' accused of taking Christ out of Christmas can become 'little sacraments' – occasions for grace to break through and faith to deepen – if approached with mindful reflection. For readers who want to experience a truly sacred Advent without fleeing completely from contemporary society, A Season of Little Sacraments will be a welcome source of nourishment and delight. Inspired by a meditation – The Shaking Reality of Advent, written by Father Alfred Delp SJ while imprisoned by the Nazis during World War II – Peter B Price has written a series of reflections and prayers to be read on each day of Advent. Each reflection is offered that we may be 'shaken and brought to a realisation of our selves', in order to gain understanding of God's promise of redemption and release. Christmas is so often not only commercialised but domesticated. The weeks before are busy and demanding. Yet in Christian thinking, they open our eyes to the shattering and shaking work of God in taking human form as Jesus. Nothing could be more dramatic. Peter Price gently, but with great firmness, calls us to be shaken by Jesus, to have our senses stirred, to be awakened to the power of the birth of Jesus, to hear the call to celebration and the warning of judgement. It is an eye-opening book and I commend it warmly. In a series of carefully selected passages, Ann Finch charts the course of the festivals and seasons from Advent to Epiphany. Her wide range of choices include such diverse writers as C S Lewis, R S Thomas, Hildegard of Bingen, as well as ancient English poetry. The book is designed for use in personal reflection and also for schools, churches and small groups. The much loved Saint Francis of Assisi discarded the trappings of wealth and found Christ in the simple life. 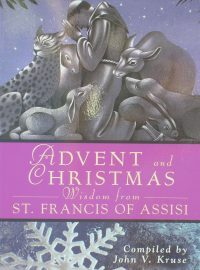 Through daily meditations, Scripture readings, and action-based spiritual exercises written for the Advent and Christmas season, we are each invited to examine our spiritual life, to listen to the wisdom of Saint Francis and to follow in the footsteps of Christ. St Francis of Assisi calls us to embrace a life of radical Christian discipleship. For Francis, to live the life of a disciple of Christ meant that one had to embrace the poverty and humility of Christ as made manifest in Christ's own birth. This Advent and Christmas, let Saint Francis guide you in finding the great expression of God's overflowing love for each one of us through reflection and prayer. Henri J. M. Nouwen is one of the most beloved and well-read spiritual authors of our time. His works are popular among Christians of all denominations. This book of Advent and Christmas Wisdom will both challenge you and warm your heart during your annual preparation for the Lord's coming. Through the quotes, Nouwen share with the reader his own journey of waiting while seeking the Lord. Advent is that period of great anticipatory joy to prepare for the celebration of Christ's arrival in Bethlehem as a helpless infant. The date commemorating his birth begins the Christmas cycle of the liturgical year, a cycle that runs through the Sunday after the feast of the Epiphany. This book is designed to be used during the entire period from the First Sunday of Advent to the end of the Christmas season. 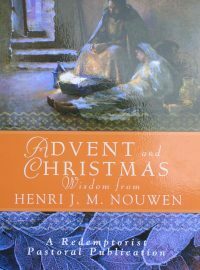 Reflections for each day in this book begin with the words of Henri Nouwen taken from various sources of his writings. Following that quotation is an excerpt from Scripture related to the quote. Next is a small prayer based on the quote and the Scripture passage. Finally, an activity is suggested for applying the messages to one's daily life. All devotees of Nouwen will appreciate the applications made of his words of wisdom for daily living. Any Christian who is serious about his or her search for the Lord will cherish this book and want to use it from year to year. Advent and Christmas are special times for all Christians. The spiritual longing of the Advent season can only be satisfied by the joy and celebration of a Christmas focused on Jesus' birth in our hearts. 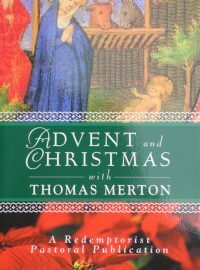 Advent and Christmas Wisdom with Thomas Merton give readers the opportunity to experience Advent and Christmas in a way that unwraps the spiritual joy, allowing it to shine brighter that all the tinsel and trappings that can blind our eyes to the deeper meaning of the season. 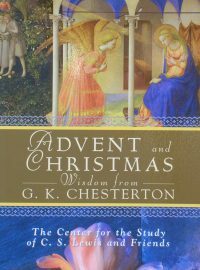 This book is arranged for use on every day of the Advent and Christmas seasons. Each day's reflection begins with a scriptural quotation, continues with a thought from the writings of Thomas Merton, and concludes with a prayer for the day. 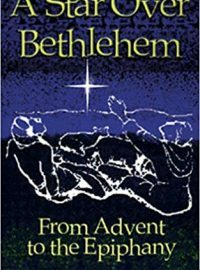 Merton's writing capture the familiar themes of the season: the Incarnation, anticipation, angels, giving, and many others - each drawing us closer to the joy of welcoming the Saviour into our lives. An appendix includes a suggested plan for using each day's meditation as part of a morning or evening prayer. 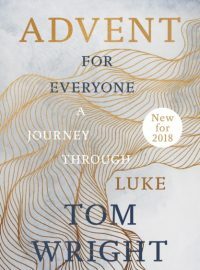 Join Tom Wright on a journey into the heart of Luke, exploring the Gospel themes of encouragement, renewal, justice and celebration. Within each of these themes, Wright offers a week of daily readings and meditations, beginning with the Sunday reading in the Revised Common Lectionary. Each day ends with stimulating questions for personal reflection or group discussion. Drawing on key passages in his popular For Everyone series of commentaries, these sparkling reflections take you on a journey of spiritual enlightenment, guiding you towards the wonder and joy of Christmas. 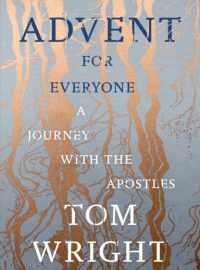 Join Tom Wright on a journey with the Apostles, exploring the New Testament themes of thankfulness, patience, humility and joy. Within each of these themes, Wright offers a week of daily readings and meditations, beginning with the Sunday reading in the Revised Common Lectionary and ending with stimulating questions for personal reflection or group discussion. Drawing on key passages in his popular For Everyone series of commentaries, these sparkling reflections take you on a journey of spiritual enlightenment, guiding you towards the wonder and joy of Christmas.